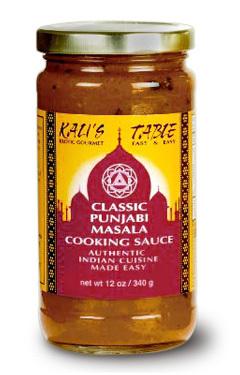 A best seller – our Classic Punjabi Masala remains true to north Indian style. 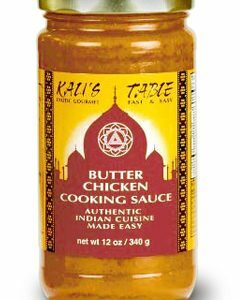 This is our second favorite sauce from these people and it is just about as good as the butter sauce. 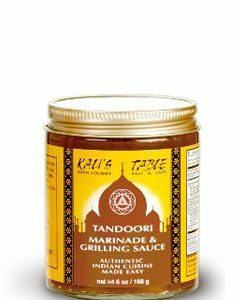 It is NOT too spicy, but gives a new meaning to the flavor of the meat you are cooking with. The odor while it is cooking will make the kitchen very popular and the flavor just can’t be beat. Try a bottle or two and I am sure you will be back here for more just like we have. A wonderful thing to serve especially on the cooler wet days of fall and winter. 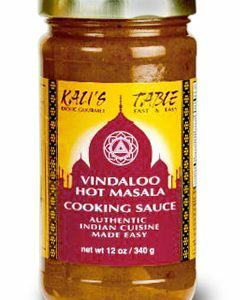 We LOVE this sauce. It is hot, yes, but it doesn’t hurt. The flavor is so good, deep, and satisfying. We are vegan and I have celiacs so we must also be gluten-free. 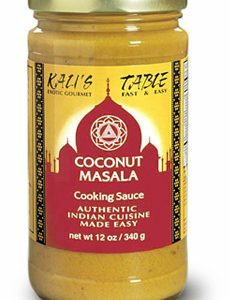 I’ve been relying on Kali’s Table sauces as the main ingredient in a quick-don’t-have-to-think-about-it dinner since my diagnosis. I just add a can of coconut milk, a bag of frozen stir-fry veggies and a can of chickpeas and WHAM! Dinner. Better than take-out and my family doesn’t think of it as a no-brainer meal.